When a woman reaches the end of her reproductive cycle, also known as menopause, her body experiences many changes including a change in vital hormones, like estrogen and progesterone, used to regulate her reproductive cycle. 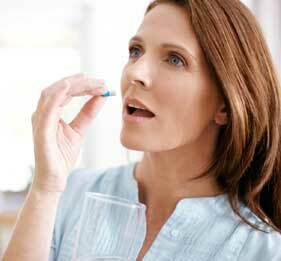 Your doctor may prescribe “hormone replacement therapy”, a way to supplement your body with the hormones it’s missing. Global Rx Compounding Pharmacy can fill your doctor’s prescriptions using exactly the hormones and custom amounts your doctor prescribes for your specific needs. No two individuals need exactly the same hormones or even the same amount. Your physician will provide a you with a prescription that can only be filled at a compounding pharmacy, like Irvine Compounding Pharmacy. By replacing the hormones that your body is missing, you may experience an abatement of night sweats, hot flashes, vaginal dryness, and a host of other symptoms. Your physician will want to follow up with you on a regular basis in order to monitor and possibly modify your hormone replacement therapy. If you believe you might be in need of hormone replacement therapy be sure to consult your physician. Only he/she can prescribe the hormone replacement therapy for you.